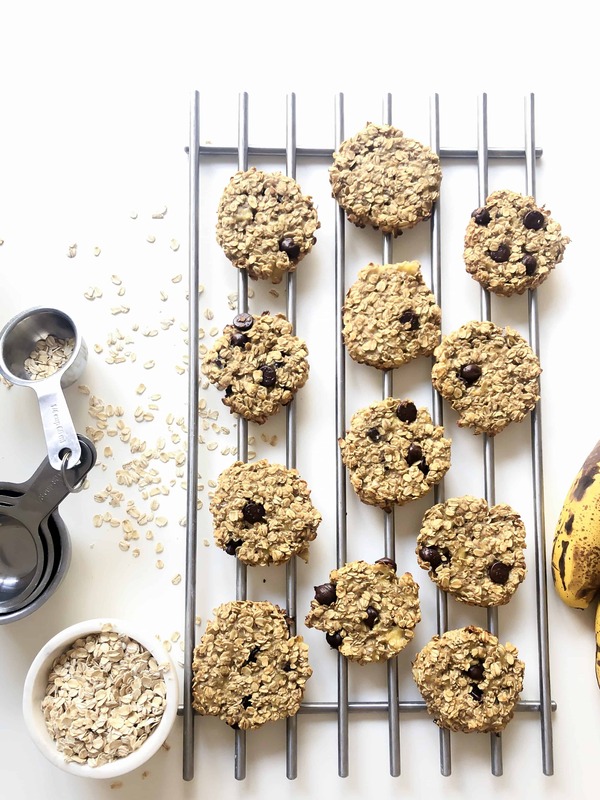 These Banana Cookies with oatmeal are quite amazing. And I am not kidding, guys! I have been working out since January – Yes, it was kind of like a new year resolution, and I am still sticking to it. And it’s February 2nd so sticking to that resolution is excellent, right? I usually don’t have serious resolutions as I find them hard to keep up with. But this year I decided one thing! To have a healthier lifestyle, and make time to work out every day. My reason was not to lose weight but just to have a healthier lifestyle. And to accomplish that goal, our family also try to eat healthier. We LOVE sweets. Who doesn’t, right? 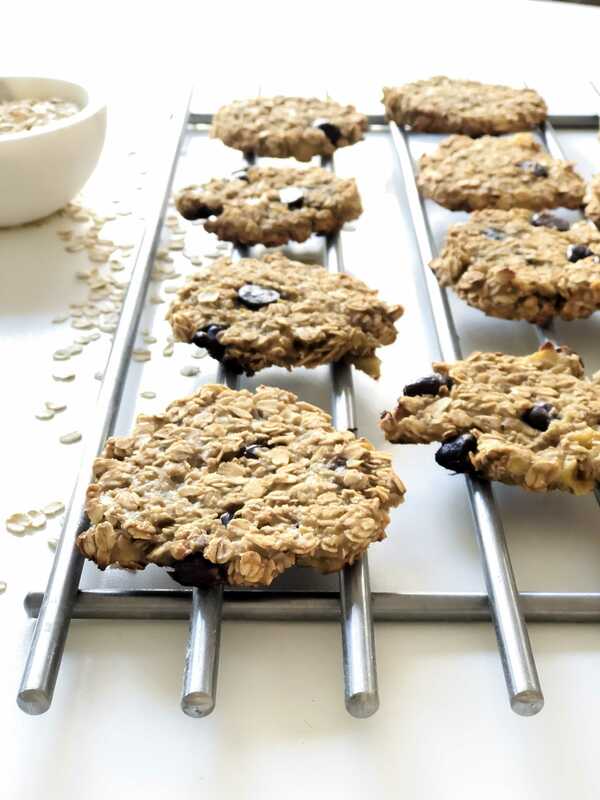 Well, these banana oatmeal cookies are fantastic sweet snacks! And they are not only super easy ones to make but also sugarless, gluten-free. Winner! And now they are on my HEALTHY SNACKS list. You are most likely to have all three, YES, ALL THREE ingredients to make this yummy healthy snack. 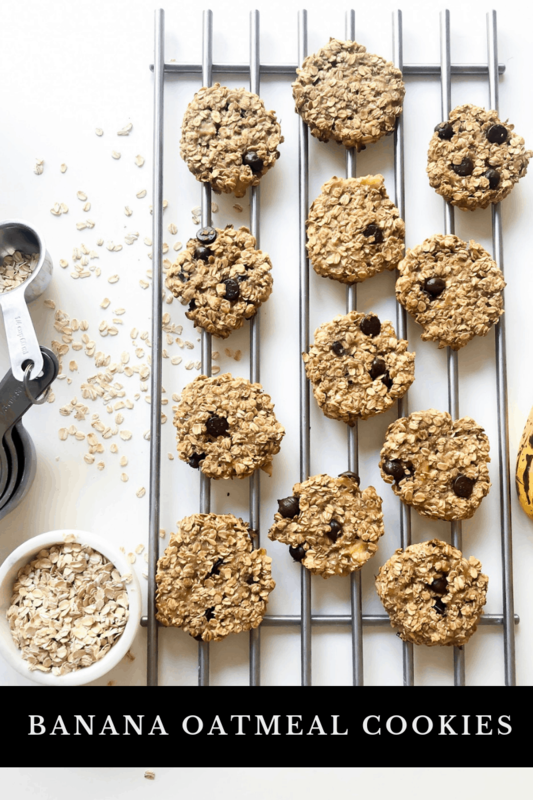 Here are those secret ingredients to the BEST BANANA COOKIES! 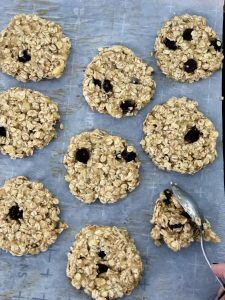 The best banana cookies made with oatmeal. Do you have a ripe banana? Look no further-this recipe is for you! you can substitute the chocolate chip with your choice of ingredients! Prepare a cookies sheet with baking paper. Stir mashed bananas, oatmeal and chocolate chip in a bowl and spoon the batter to the prepared baking sheet. Flat the butter and kind of form a round shape then bake it for 15 minutes. 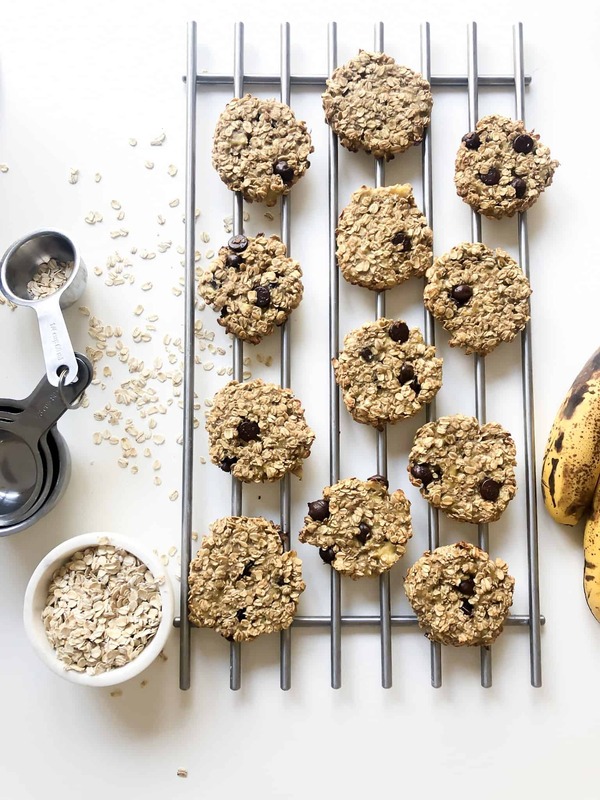 My boys absolutely loved these quick and healthy banana cookies, and so did we! 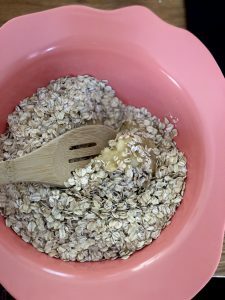 Be sure to give it a try and let me know what other ingredients did you try instead of the chocolate chip! Check out some other delish recipes on my recipe page!